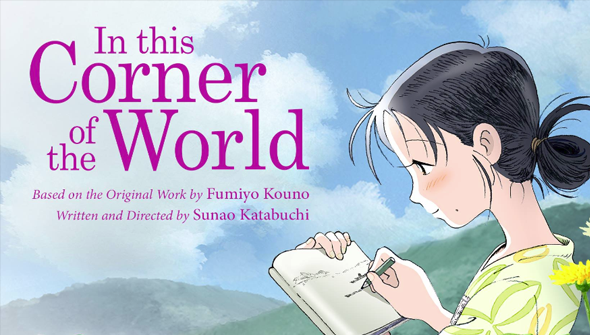 This week's animated home releases range from the moving anime story In This Corner Of The World (arriving in the UK) to er.. 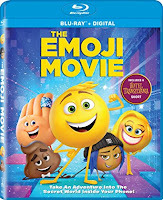 The Emoji Movie (in the US). And as usual, there's a few other anime titles out there too for fans on both sides of the pond. Girls Und Panzer: Der Film (MVM, 12) Girls, and guns and tanks. Louis and Luca: The Great Cheese Race (101 Films, PG) Norwegian family feature. Yu-Gi-Oh Zexal Season 2 (Manga, PG) Yet more Yu-Gi-Oh in the second season of the spin-off. Alderamin On The Sky: The Complete Series (FUNimation) Fantasy anime series about an empire at war. 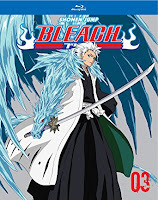 Bleach Set 3 (Viz) Third collection of the Blu-Ray debut for Tite Kubo's hit Shonen supernatural saga. 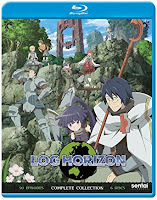 Log Horizon (Sentai Filmworks) Anime featuring players transported to a fantasy RPG world. Servamp Season 1 (Funimation) A teenager's rescue cat turns out to be a Servamp: Servant Vampire. 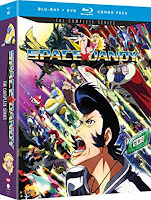 Space Dandy: The Complete Series (Funimation) Shinichiro "Cowboy Bebop" Watanabe's wacky one-of-a-kind space comedy in a complete collection. Ushio and Tora: Collector's Edition (Sentai Filmworks) One boy and his tiger take on the supernatural world. Read our review here.